Sports culture has always been in the frontline when it comes to social change. Just remember Olympian Tommie Smith. 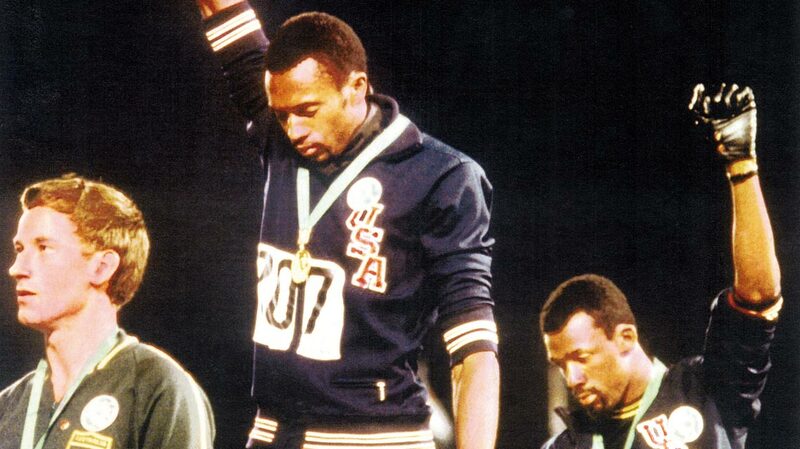 With his PUMA Suede standing beside him on the podium, his “Silent Gesture” at the 1968 Mexico City Olympics sparked off a global debate around the issues of civil rights. 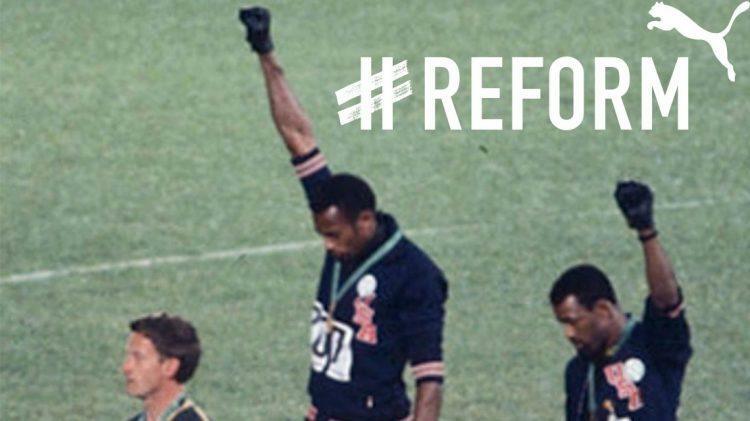 Inspired by this gesture and our long history in supporting our athletes and their messages, PUMA launches #REFORM: A platform that supports activists from the worlds of sports, music and entertainment in encouraging conversations around issues such as universal equality and criminal justice reform. But #REFORM is not only a simple platform. We believe that to actively achieve progress and take action, a team is essential. So, we created one! Team#REFORM is a collective of individuals who believe that universal equality needs to be progressed faster. And since every well-functioning team needs a captain, we selected leaders who already raised their voice and stood up against injustices of different kinds. Tommie Smith risked it all when he used his moment on the podium at the Olympic Games in 1968, raising his fist in a silent gesture as a sign against discrimination and human rights abuses. Having inspired generations of athletes, Tommie will lead the team campaigning for universal equality as our captain Emeritus. 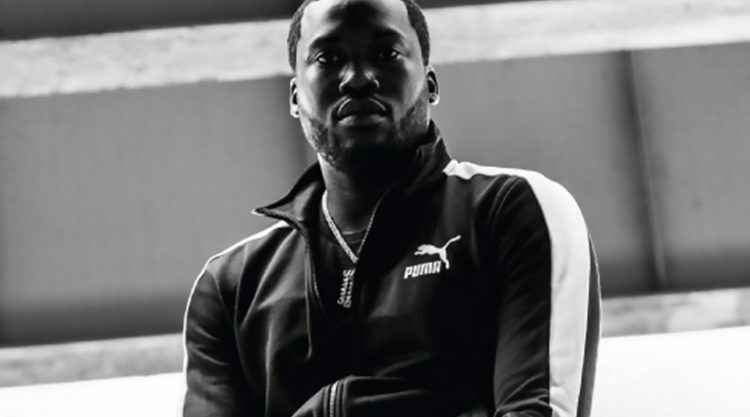 Meek Mill, one of the most successful rappers of his generation, became a symbol for need for criminal justice reform in the United States. More than a decade after a 2007 arrest, he has been in and out of court over minor probation violations still facing an uphill battle to escape from the authorities’ continued supervision. Other artists and campaigners, such as Jay-Z, have supported Mill in his struggles and the #FreeMeekMill movement was born. Through this movement, Mill has highlighted the problems of the justice and parole systems. He continues fighting for criminal justice reform being the team’s captain. 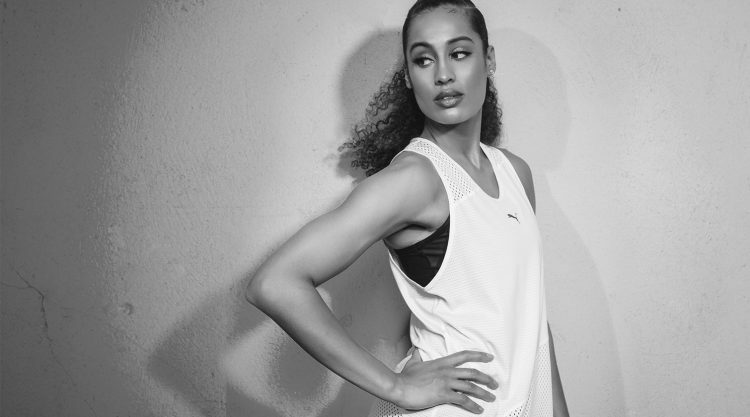 Four-time WNBA All-Star and Dallas Wings points guard Skylar Diggins-Smith called out the vast income gap between men and women. In 2018, she wrote an opinion piece in which she outlined the inequality facing female athletes compared to their male counterparts and was not afraid to name names. She will lead the team for gender equality. We want to create a MOVEMENT and get people talking about the important issues such as universal equality, justice and human rights. In doing so, we will raise money to promote the charities our team captains have put forward. To turn intentions into actions, the #REFORM Captains will work with PUMA to identify beneficiaries of #REFORM initiatvies, including product creation, recognition grants and #REFORM Summits. 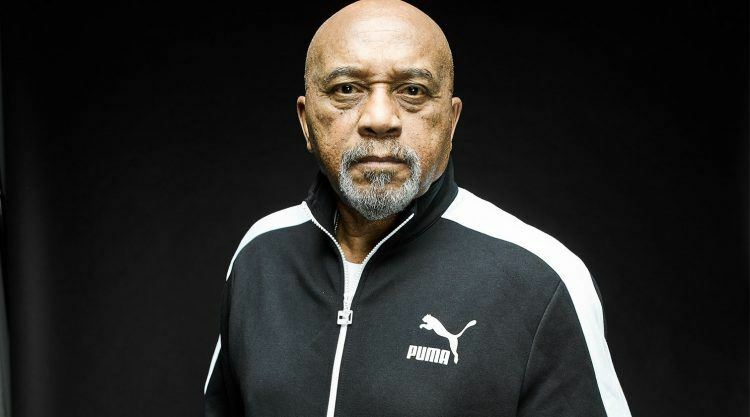 The first action takes place on October 16th to commemorate the 50th anniversary of Tommie Smith’s Silent Gesture with the social media movement #THIRDSALUTE. Individuals will challenge others to post an image of themselves with a raised fist and make a donation to charity. And we are just getting started! In the future, PUMA will add further team captains and further charities for #REFORM. Some #REFORM activations will be supported by the creation of PUMA shoes and clothing, the profits from the sales of which will go to charities, other will motivate individuals to donate to specific charities. Raising his fist during the awards ceremony at the 1968 Olympic Games had a lot of consequences for Tommie Smith. Not only was the 200 meter race he won his last one in an international competition, but he was also threatened and not served in restaurants. Does he regret what he did? "No way. I disliked the idea that someone else stopped me from doing what I wanted to do after that. But then I saw what good it did to young kids and it started a global thought." Third Quarter: Full Steam Ahead! What's the best birthday present you've ever got? What does it take to become a Fitness YouTube Star?